2010 is now history and it's time to update my portfolio returns to check on my progress so far. In 2010, my US portfolio, which excludes real estate and foreign accounts, returned (including dividends) approximately 11.3%. 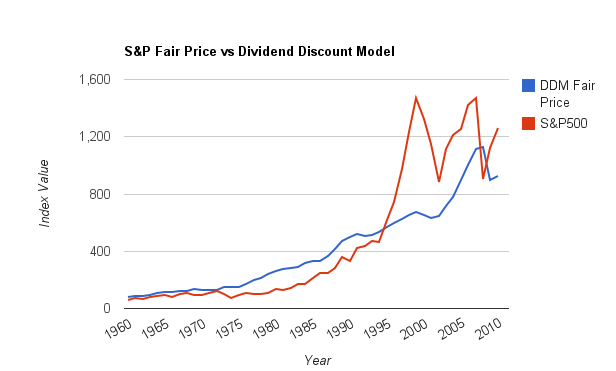 Comparing with the S&P 500, which returned (including dividends) approximately 15.1%, my returns are not great. But my results don't bother me at all, because my portfolio has less risk than the S&P and does better than the S&P in down years. Let's see why. But first, let me define risk. I don't consider risk to be equal to beta or the Sharpe ratio. That's because I don't mind price swings (which increase beta) as long as I believe that in the long run, my buying power will be maintained or increased versus inflation. In other words, I consider risk to be the degree with which I may lose principal, either via loss of capital (due to bankruptcy, long-term loses in the underlying companies, etc) or inflation. With that, let's dissect my portfolio a bit to understand where I trailed the market and why I should not worry about it. Looking at my holdings and the weights they play on my overall allocation, I found out that the main reason for underperformance in 2010 was due to my bias towards large value companies. These are mainly blue chips that pay steadily-growing dividends such as HD, WMT and JNJ. Johnson & Johnson (JNJ). The BandAid maker opened the year at $64.41 and closed it at $61.55, hence returning -4% in share price appreciation. When adding the 3.2% dividend, JNJ's total return was a negative 0.8%. Walmart (WMT). The world's largest retailer opened the year at $53.45 and closed it at merely $54.09, thus returning 1.19% in share price. When adding its dividend of 2.2%, WMT's total return was 3.39%. Home Depot (HD). The home-improvement retailer opened the year at $28.93 and closed at $30.21, thus returning 4.4% in share price. Adding its 3.3% dividend, HD's total return was 7.7%. Therefore, my over-reliance on these big names caused my portfolio to lag behind the larger market. However, as I've mentioned before, I believe my capital will be preserved better if I stay with these stocks for the long-run, as opposed to rotating in and out growth or "story" stocks throughout the year. For the largest part of my portfolio, my goal is on dividend growth and capital preservation. As such, I believe these companies will continue doing the job. All three have been increasing dividends over the years (HD did pause for a while though, but I believe they will resume soon) and as long as my capital is safe with them, I will reap the benefits of the increasing dividends over time. 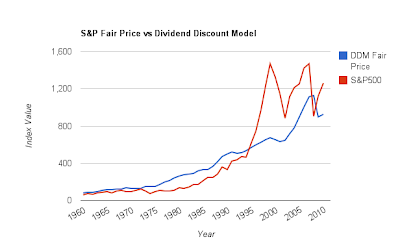 To recap my investing approach: When I invest, I look for companies with a history of sustainable dividend growth. 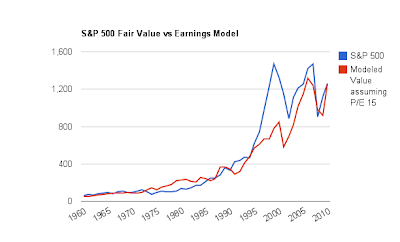 Then I factor in this growth and current share price to determine a price I should pay now that will yield at least 11-12% dividend return over many years, with a margin of safety of between 10 and 15% (depending on various fundamental and historical factors). For this reason, I'm quite happy with my returns so far. I will lag the S&P in good years, but I will do better in the down years (like I did in 2008). Disclosures: I own every stock mentioned above at the time of writing. In my quest for high returns, high yield is an obvious candidate. It's also a tricky one for the same reason: if it's so obvious, it probably won't last long or is very risky. Nonetheless, a little bit of research can help mitigate these things a bit. Research won't guarantee anything -- nothing is ever guaranteed in investing. But I digress. Here are the two funds that may help boost a small part of your portfolio the same way they're boosting a small part of mine (emphasis on small). The PowerShares* Closed-End Fund Income Composite (ticker: PCEF) is a fund of closed-end funds seeking high current income. It tries to achieve this by rotating in and out of closed-end funds when they offer a discount to NAV (net asset value) and good risk-reward prospects based on PowerShares proprietary trading technology. It currently yields about 8% and pays out monthly dividends. It has a very steep fee: 1.81% (0.50% for the ETF and the rest as per the underlying funds). What I like about this fund is in part derived from what I like about CEFs (Closed-End Funds): they often trade at a discount to NAV and attract less attention than other funds. CEFs are often leveraged and they use long and short strategies to boost performance (and thus increase risk). The subject of closed-end funds is very interesting, but long. I'll reserve the details for another post. With PCEF in particular, the yield and the monthly payouts are very nice. I looked at the top 5 funds that compose this ETF and they are reasonable funds with the typical risk profile of CEFs: some leverage (20-30%), a good diversifications of securities and most are not managed payout funds, which in my opinion are horrible funds (managed payout funds are those that make a distribution whether or not they have gains, which means that in lean times they will return capital to shareholders, which is a waste of time). Sadly, out of the top five funds, two are returning capital to shareholders. The Credit Suisse** High Yield Bond Fund (ticker: DHY) is a simple CEF, not a fund of funds. 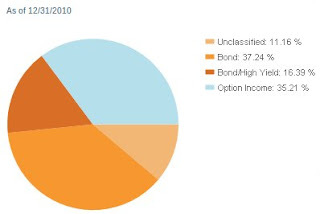 It invests primarily on US corporate "junk" bonds. These are bonds rated "below investment grade" by the credit agencies. What this means is that these securities are less likely to re-pay their debts than the theoretically safest bond out there: US treasury bonds. In reality, no company wants to default on their bonds, which would imply having to file for bankruptcy protection and possibly liquidate the company. But in practice, this does happen, so the credit rating is important. Just keep in mind that low doesn't mean investors won't get paid. It means investors should demand higher yields. DHY offers a monthly "dividend" (treated as regular income at tax time) that yields about 11% annualized. The underlying portfolio has a medium duration -- 4.75 years -- which means that the portfolio is not super sensitive to interest rate changes like, say, a 30-year bond. But it is not immune either. The fund is leveraged, about 29% and has an expense rate that is very steep: 2.65%. Typically, I don't invest in funds with high fees, but in the case of CEFs I allow a few exceptions when I can get the funds at a discount. This fund in particular is offering about 1-2% discount to NAV right now (it was 1.1% when I bought it). But it recently traded at a large premium (see graph below), which means that an attentive investor may capture outsized returns. It has, however, traded at significant discounts to NAV in the previous 3 years, which means this is a short-term play only. 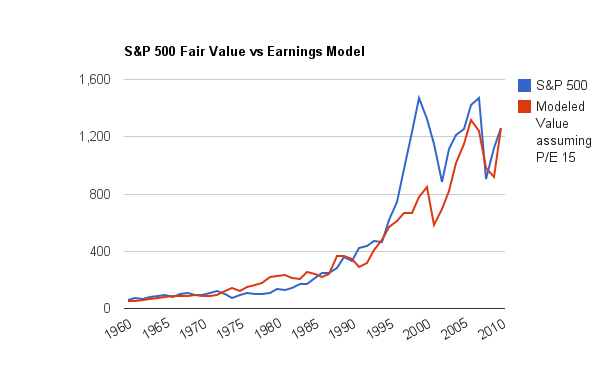 I consider both of these investments to deviate from my value strategy. First, they are expensive and leveraged and second, at least DHY is a short-term investment only given its long history of premium/discount. So, consider yourself warned. However, the yields are decent and given that inflation is pretty much staying under wraps for a short while (at least until the Fed hits again with QE3), these two funds can offer a nice current yield. Have a profitable 2011 everyone. Disclosures: I own both of these funds at the time of writing. * I'm not affiliated with PowerShares in anyway. Moreover, I usually don't endorse their dynamic way of portfolio construction and higher fees. This is one of the exceptions. ** I'm also not affiliated with Credit Suisse either.